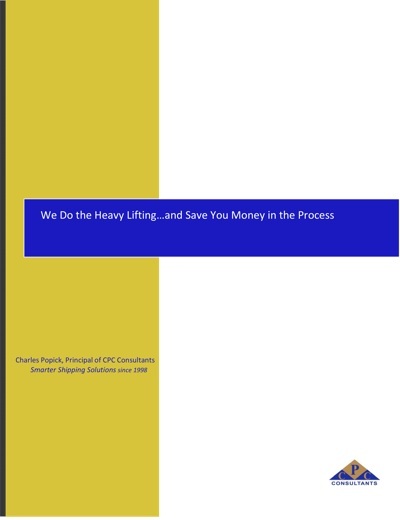 CPC Consultants - Best Transportation and Supply chain consultants. Delivering solutions that optimize transportation and Supply chain operations. CPC provides expert consulting services in supply chain management, warehouse management, and transportation optimization. We optimize our clients' bottom line by leveraging industry best practices and providing customized solutions through our proven methodologies, extensive experience, and focus. We guarantee our performance, and have built our reputation upon helping companies save hundreds of millions of dollars in transportation, warehouse management, operations and more. The post Retail innovations under scrutiny at Omni-Channel Conference appeared first on Logistics & Supply Chain. The post World leading robotics specialists set for exhibition appeared first on Logistics & Supply Chain. The post Solving the global labour famine appeared first on Logistics & Supply Chain. The post DHL to open mega parcel centre appeared first on Logistics & Supply Chain. The post Global labour shortage could worsen appeared first on Logistics & Supply Chain. 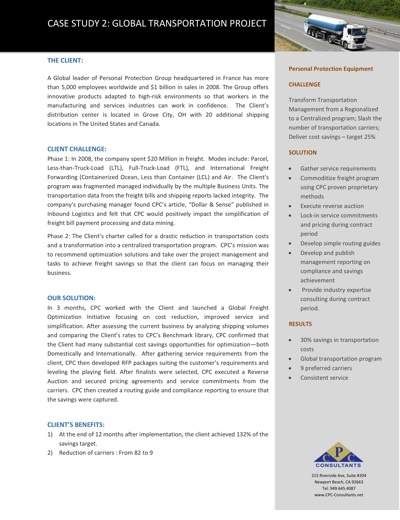 Transform transportation programs from Carrier controlled ones to Shipper controlled. CPC squeezes waste out of transportation spend. Business Process Re-engineering for efficiency. CPC levels the playing field with carriers and shippers. Sort out complexity and make it simple. We provide smarter shipping solutions. You probably didn’t study this subject in college or gain any on-the-job experience; but the responsibility of “transportation logistics” was just added to your growing to-do list and you haven’t a clue where or how to begin. You’re not alone by a long shot. A multinational $1B Safety Equipment Company with 100 transportation companies and above market rates needs to optimize transportation costs and simplify managing carriers. Results: In 4 months annual costs are reduced by $6MM and the number of preferred carriers shrunk to 9. A Flash Marketing Fashion E-Commerce Company exploding with 400% year over year growth needs a better way to pick, pack and ship orders. Results: Reduced labor by 50% and increased output by 300%. 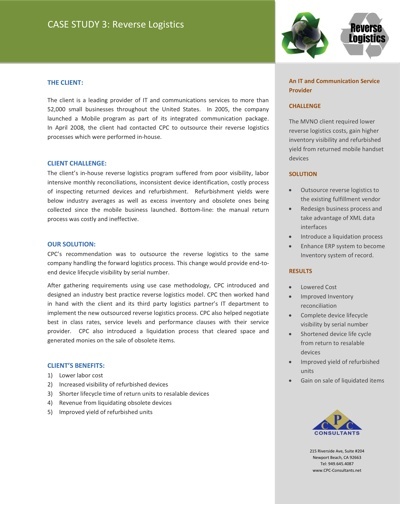 A Sprint® Mobile Virtual Network Operator (MVNO) needed a better way to collect, refurbish and deploy returned devices. Results: Re-engineered reverse logistics process that cut device turn-around-time by 2 weeks; reduced overall replacement costs by 50% and increased refurbished device utilization from 25% to 70%. The principal of CPC Consultants, Charles Popick, was featured in the September 2008 edition of Inbound Logistics. in the article titled, "Dollars & Sense." 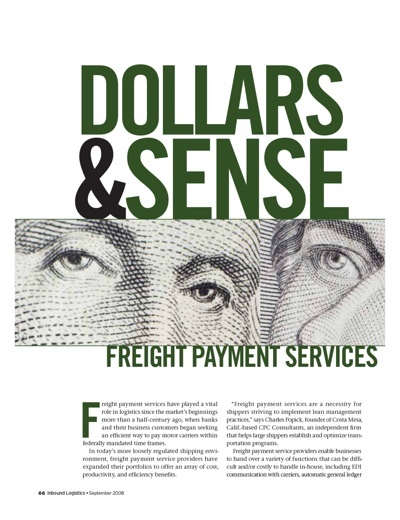 Popick discusses the importance of a Freight Payment and Audit firm. Popick also provides insight on selecting a good one. 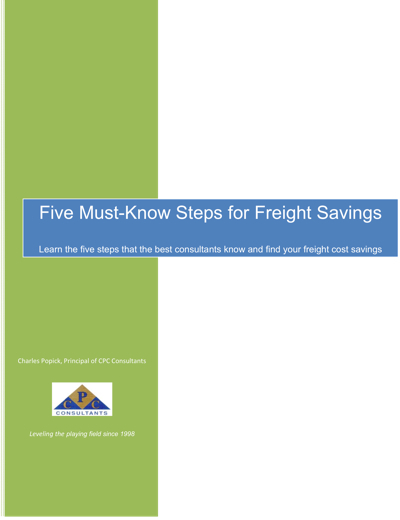 Discusses the five steps that the best consultants know to help you find your freight cost savings. The article also explains how to select an independent consultant and utilize them to reduce freight costs. CPC Consultants became a trusted partner supporting us at every stage of our growth. Their solutions reduced costs by over 20% while improving transit times and increasing throughput by 10X. 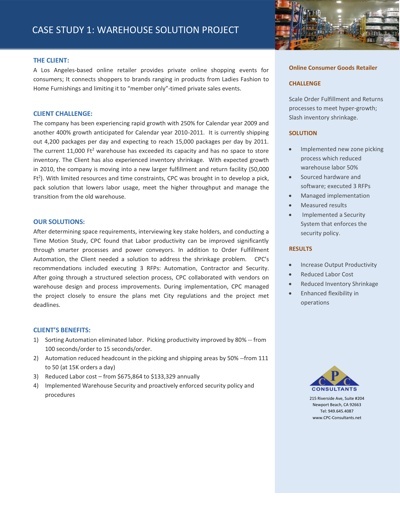 CPC was instrumental providing strategic direction that enabled us to maintain a competitive advantage from launch till our recent acquisition by Nordstrom. Even one year after the project, and over one million dollars in savings, I still receive kudos from upper management. CPC makes me look good. We approached CPC Consultants asking them to gather competitive intelligence and conduct a benchmark study within an extremely tight timeline. CPC’s team of experts was able to quickly execute and deliver on time and on budget. What do you do when the carrier that you've been doing business with says that they do not have trucks to send you? 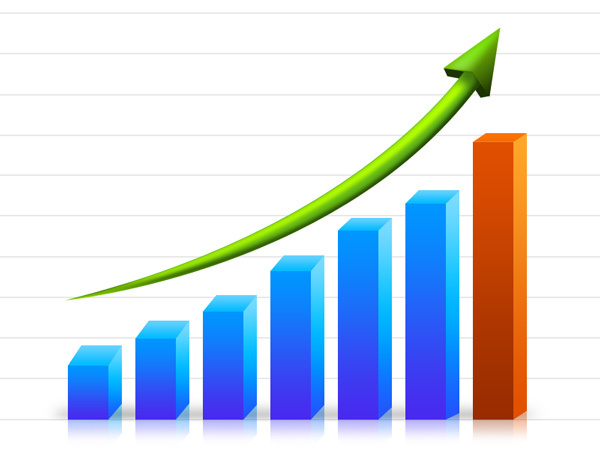 Carriers in 2018 regained increased revenue and profit during a tumultuous year including tariffs, congestion, and capacity constraints. 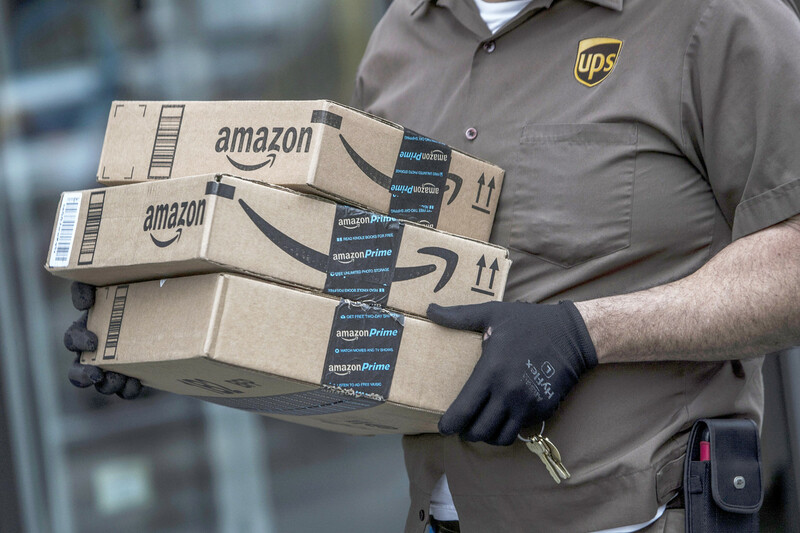 UPS says it needs flexibility to compete with parcel newbies. Will the union play ball? Our mission is to exclusively work for the Shipper, deploy high-caliber people, never compromise on integrity and deliver high returns on investment for our customers. Sign up for our latest updates and industry analysis. © Copyright 2019 CPC Consultants. All Rights Reserved.